On Saturday night, my Dad and I decided to head over to Odiorne Point State Park in Rye to see if we could find some wildlife to shoot and to see what the sunset had in store for us. 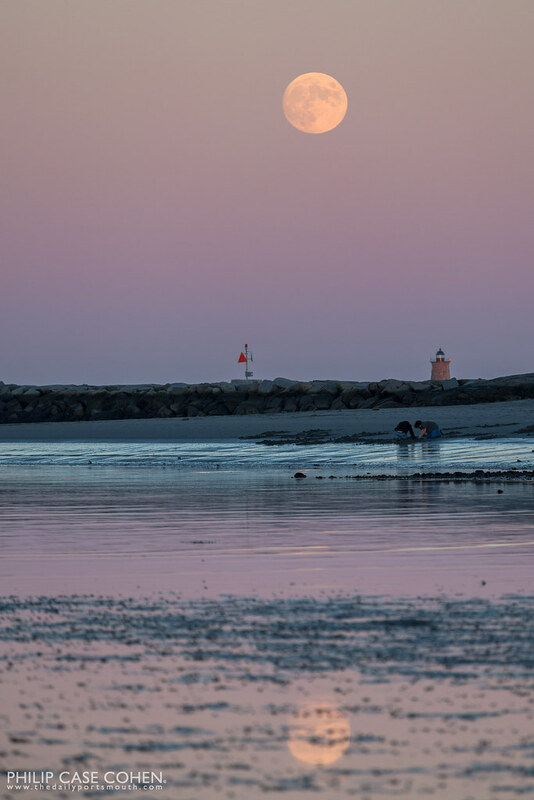 There weren’t many clouds in the sky for a dramatic sunset shot, but we were pleasantly surprised to have the unexpected moonrise in the distance over the Atlantic Ocean and Whaleback Light. We had a great time and despite no clouds in the sky, there were beautiful colors thanks to the changing temperatures and the low light late in the day.